SALVEO is a Latin phrase that means ”Heal” and “Health”. VITAL SALVEO looks for meaning in “Life is motion” and our brand is shaped by this value. Health is inseparable from exercise. Wearing appropriate protective apparel is not only safer and more comfortable to prevent sport injury it also improves physical ability. We own Functional-fiber textile technology and the high-tech demand is driven through health professionals and athletes worldwide. The professional research and design team innovated our high quality design product to improve heath and healing and to accelerate recovery from Injury, pain and degenerative illness such as Diabetes, Arthritis and Carpal Tunnel. VITAL SALVEO is designed by the element of energy and exercise. We developed fabric with natural energy elements into yarn producing our protective equipment. Using close weave structure to wrap joints and enhance circulation, blood flow & muscular endurance; Our High-tech energy fabrics strengthen far infrared resonance and release negative ions. 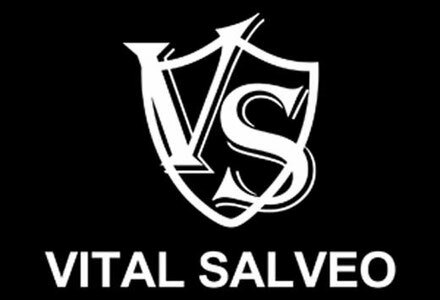 "VITAL SALVEO will let you enjoy exercise, recover faster and relieve pain."